Agro-chemical giant Monsanto’s new version of an herbicide called dicamba is allegedly wiping out millions of acres of farmland across the US Midwest, according to farmers from 25 states litigating with the company and calling for stiffer rules. According to the US Environmental Protection Agency (EPA), the farmers have submitted more than 2,700 claims to state agricultural agencies that neighbors’ dicamba spraying destroyed 3.6 million acres of soybeans. 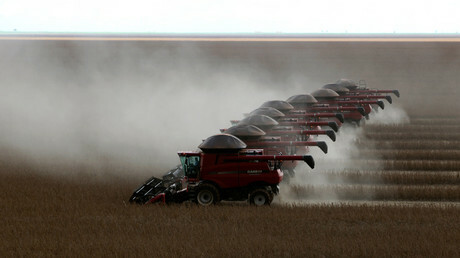 About 900,000 acres of crops were reportedly damaged in Arkansas alone, more than in any other state. The herbicide is also blamed for destroying other crops, such as cantaloupe and pumpkins. This week the sides gathered for a hearing in Little Rock, Arkansas. The proposed restrictions are subject to the approval of a subcommittee of state legislators. Last month Monsanto sued the Arkansas State Plant Board following the decision to bar the new herbicide and propose tougher restrictions on similar weed killers ahead of the 2018 growing season. The company said its herbicide was being held to an unfair standard. 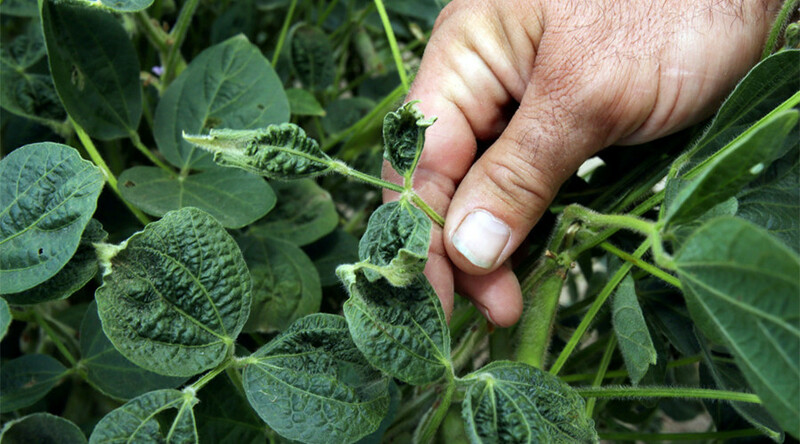 Monsanto has criticized some Arkansas state agriculture officials and scientists involved in researching and regulating dicamba. “What the plant board did is very unfortunate for growers in Arkansas,” said Scott Partridge, Monsanto’s head of strategy. The chemical and related seed sales could generate as much as $350 million in annual profits for Monsanto, according to Jonas Oxgaard, an analyst from Bernstein. “It’s their big moneymaker,” he told the Wall Street Journal. Around 25 million acres of dicamba-tolerant crops have been planted by US farmers this year. In October, companies agreed with the EPA on tighter controls for those products, including training farmers on how to manage the chemical and barring application on windy days.